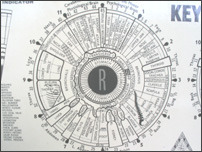 Iridology (Iris diagnosis) is a non-invasive diagnostic method that observes colors and markings on the iris to determine organ/system function and ascertain an individual’s state of health. This is a great guide in the treatment of predispositions, illnesses and general health maintenance. Dis-ease is far more than the changes in body or tissue, conversely, health is far more than the absence of physical symptoms. Our Iridologist in Chatswood and North Curl Curl can assist you enormously with your health, wellness and vitality.